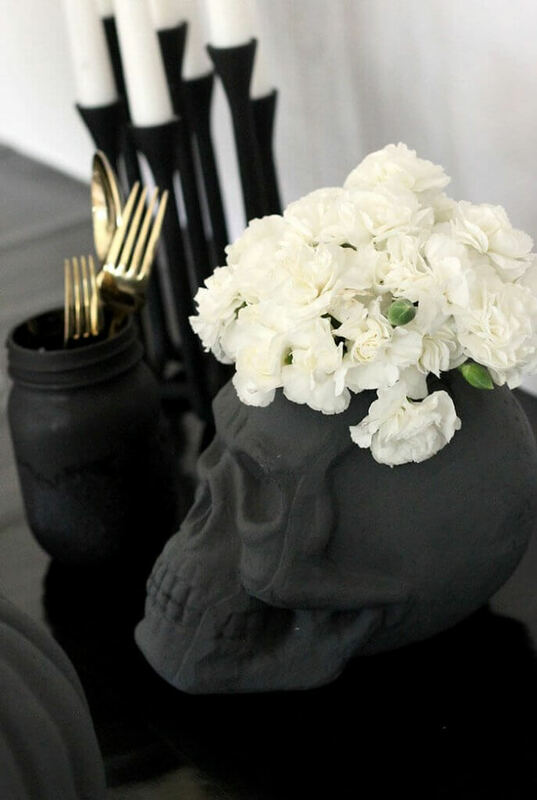 Learn how to make your own DIY Skull Vase plus more gorgeous black and white Halloween party ideas! This post contains affiliate links, which help to support this site at no extra cost to you. 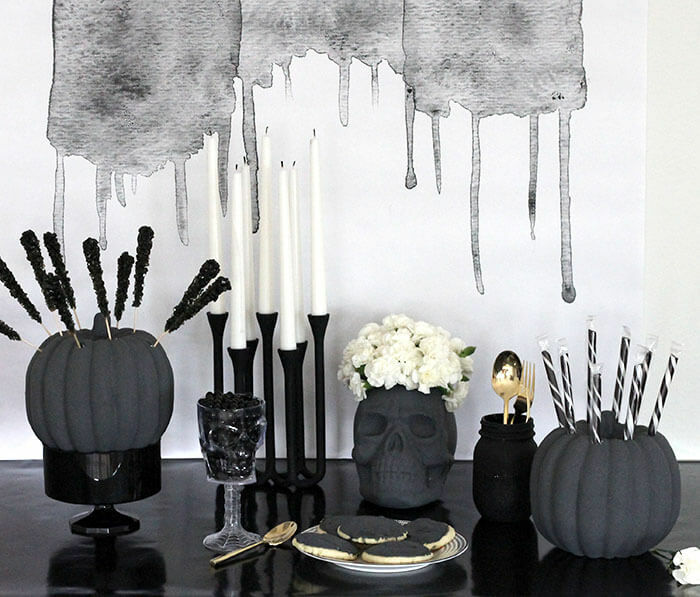 I’ve been on a bit of a pretty Halloween kick this year, and I decided to keep it going with a sophisticated black and white Halloween party spread. 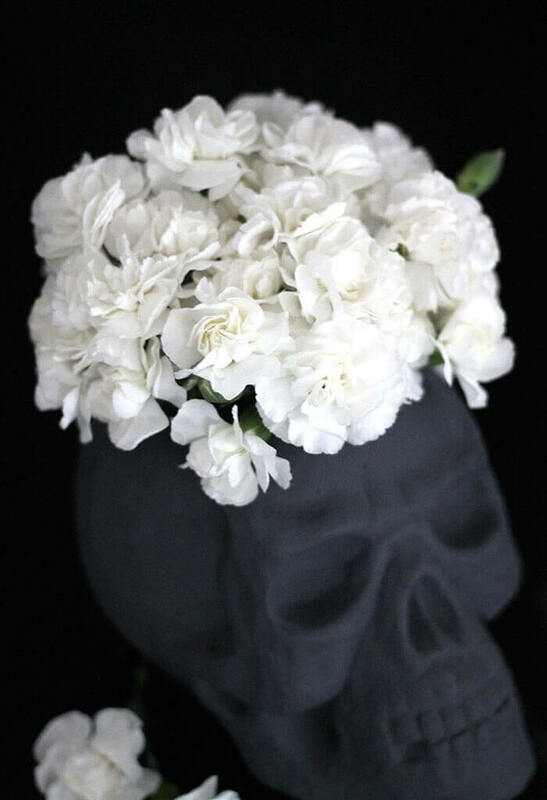 I am pretty much always a big fan of black and white, and it is especially perfect for Halloween. Plus, a black and white color scheme makes planning your party decor simple because it is so easy to find pieces in the store or around your home that will fit in with the whole look. 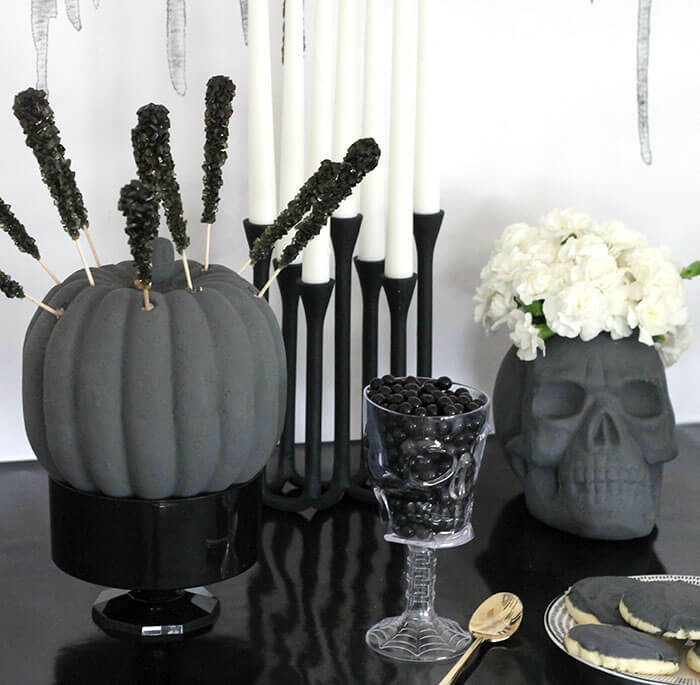 To amp up the spooky in my tablescape, I used some Halloween foam shapes to make a few party pieces that are both attractive and functional – a DIY skull vase and pumpkin candy displays. 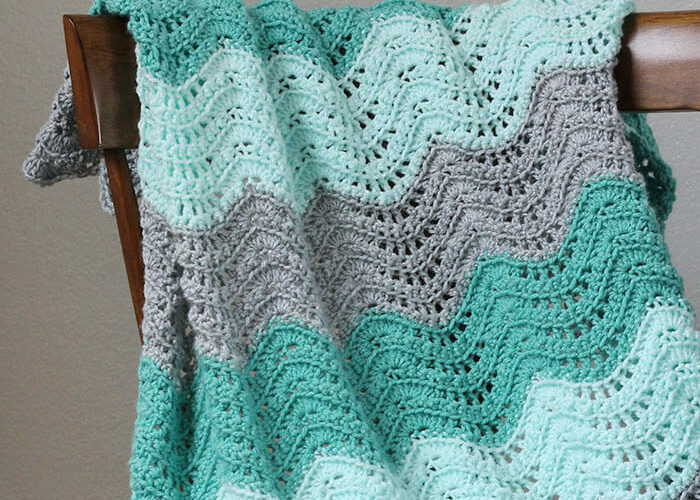 I love the way these projects came out, and the best part is that they were super duper easy to make. 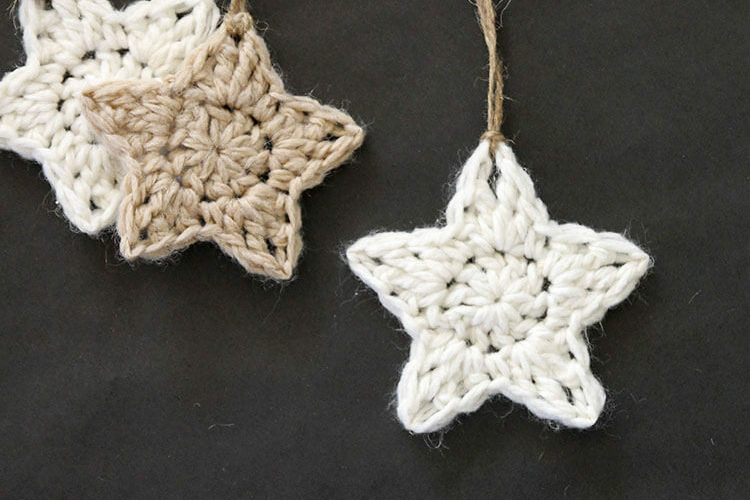 This is a two step, twenty minute craft, folks! You want in? Of course you do! Let’s do this. Here’s what you’ll need. 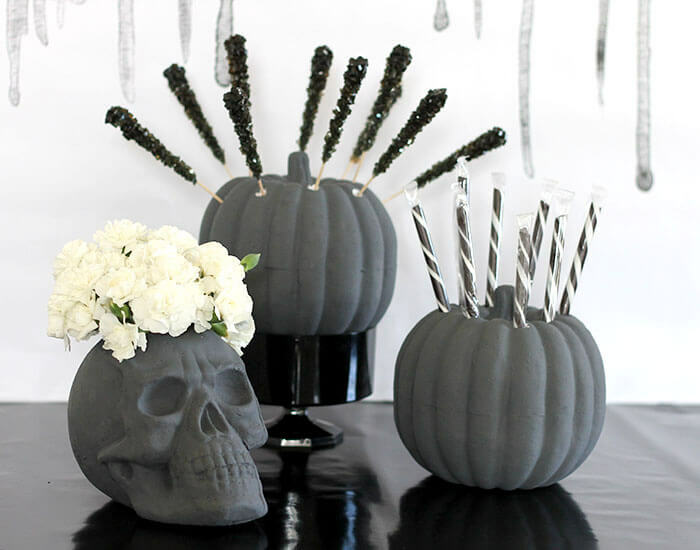 These pumpkin candy displays and foam skull vase were so easy to make. The first step is to give each foam piece a couple coats of chalky finish paint. I used Relic, which is a deep charcoal color. 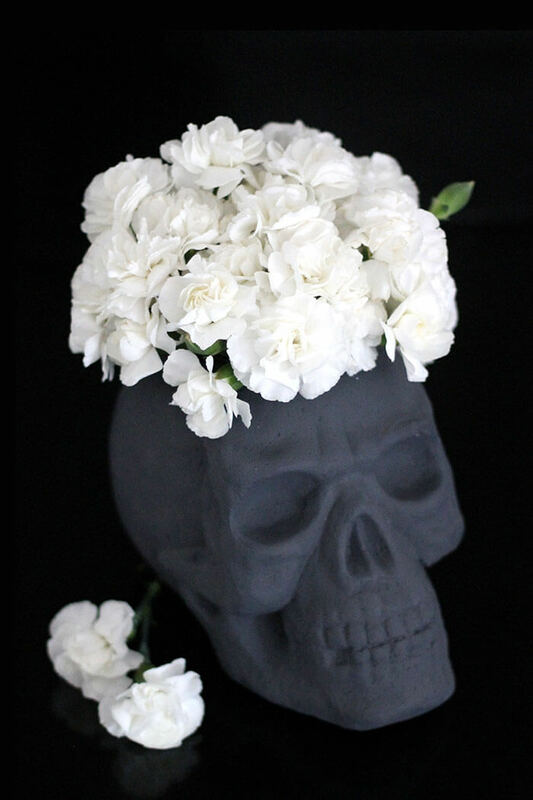 When the paint is dry, the pumpkins and skull will have a nice matte finish. I love the look it gives the foam – almost like concrete. 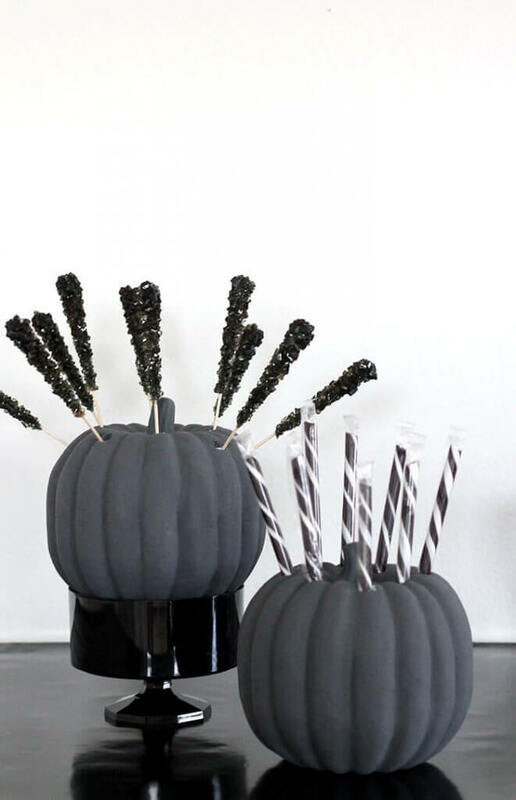 To turn the pumpkins into a candy display, all you need to do is poke some holes in the top. I used one of the tools from the foam tool kit for this, but a skewer or dowel rod should work well too. Finally, just push in the candy sticks. Next, to turn the foam skull into a vase, you will need to carve out a hole the size of your cup or vase from the top. The foam cutter works really well for this, but it may take a few minutes to carve it out completely. When your hole is the right size, just insert the cup and add water and flowers. That’s it! Sooooo pretty, right? I just love the moodiness of the black, white, and gray. 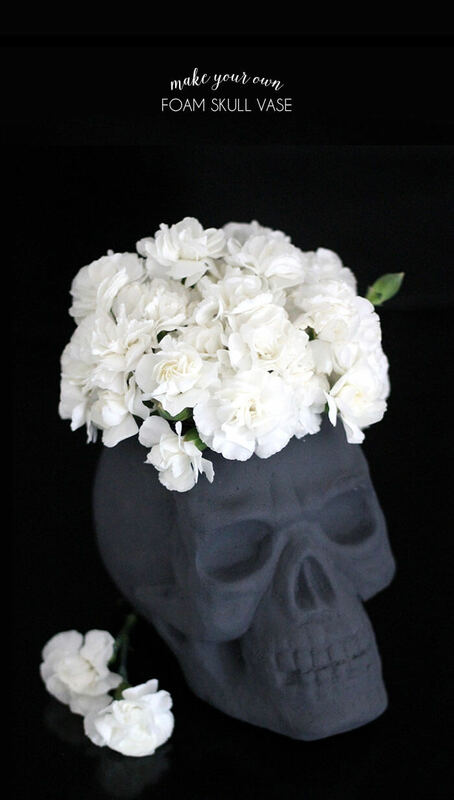 Perfect for a sophisticated Halloween look. 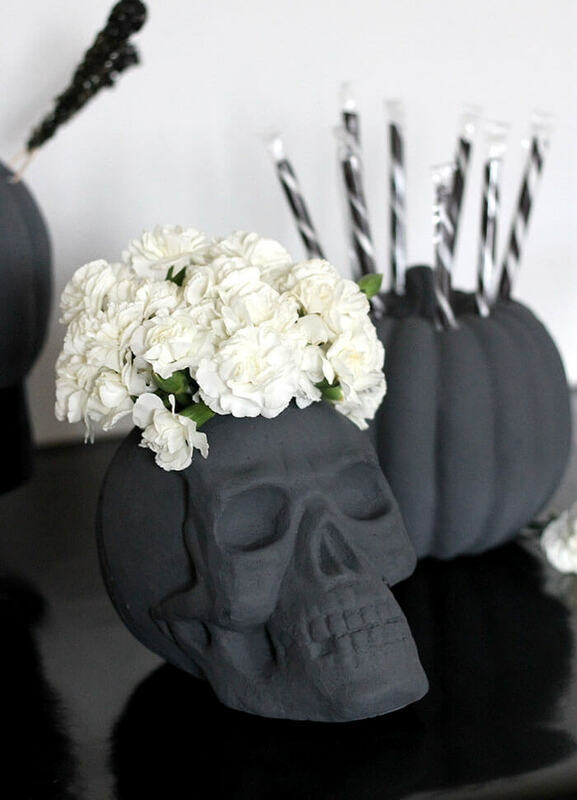 My new pumpkin candy displays and skull vase worked perfectly in the all black and white dessert table I put together. I added some yummy sugar cookies with black frosting, a new candelabra I picked up at Target (that I LOVE), and some more black candy. 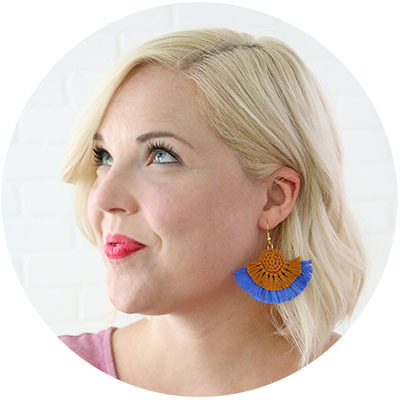 That watercolor ghost backdrop is a printable design you can purchase in my shop HERE. I had it printed as an engineering print, and I love the way it turned out! 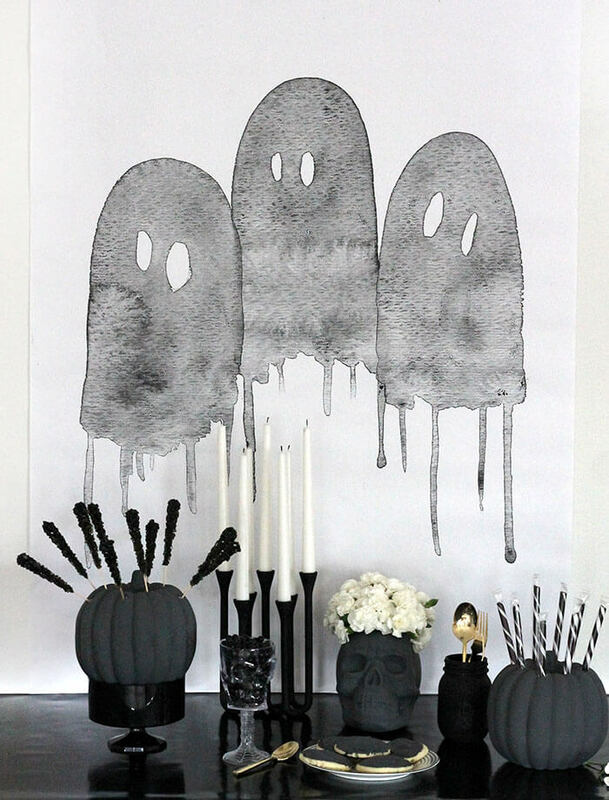 The perfect combo of pretty and spooky! 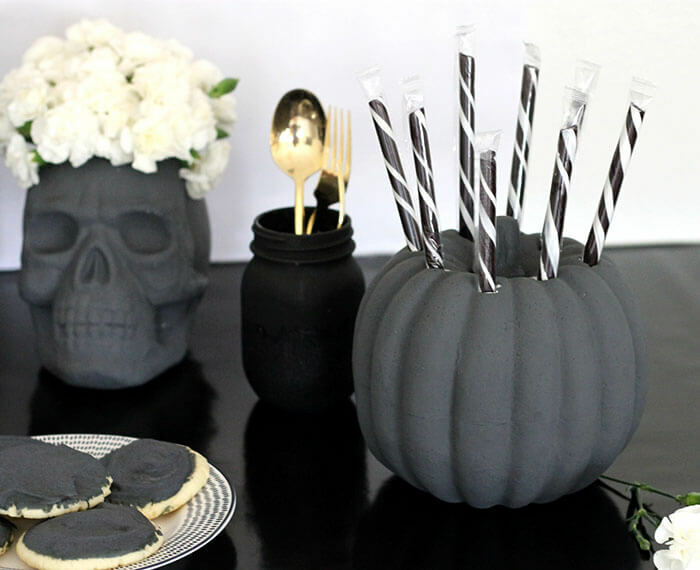 I love the way this little black and white celebration came together, and I think the skull vase and pumpkin candy displays make it extra special. Happy Making and Happy Haunting! 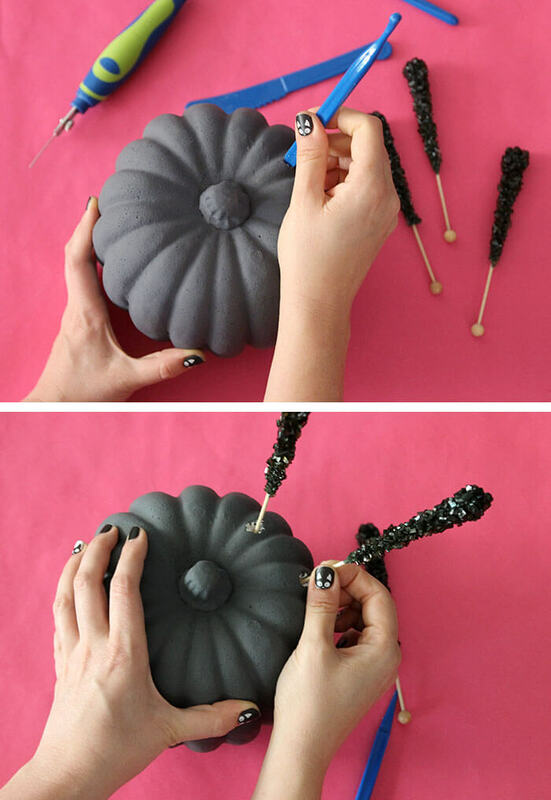 What a fun & easy way to style a Halloween party! 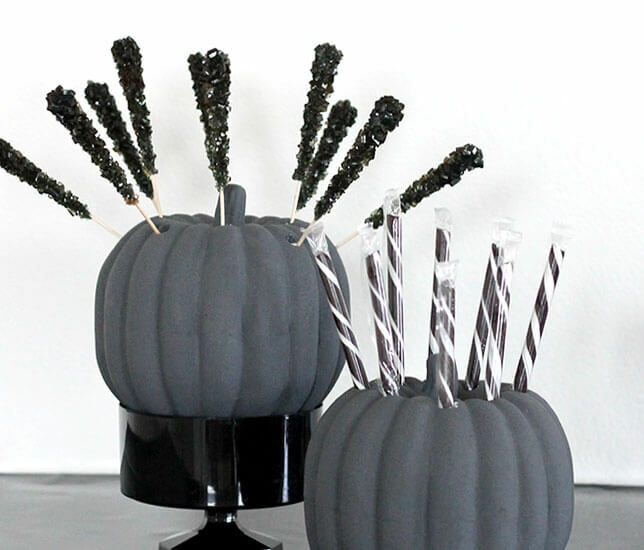 The candy pumpkins are fabulous. Thank you! Love it all! But I’m especially hearting those adorable boos in the picture!!! 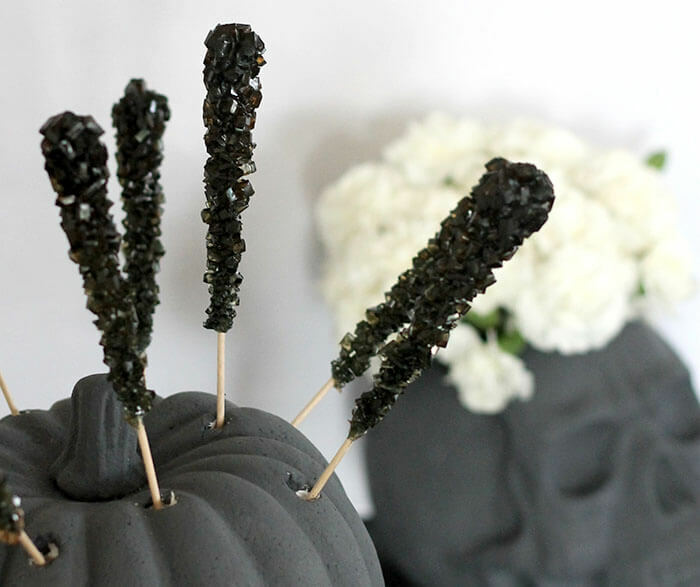 Just perfect for a classy halloween party!